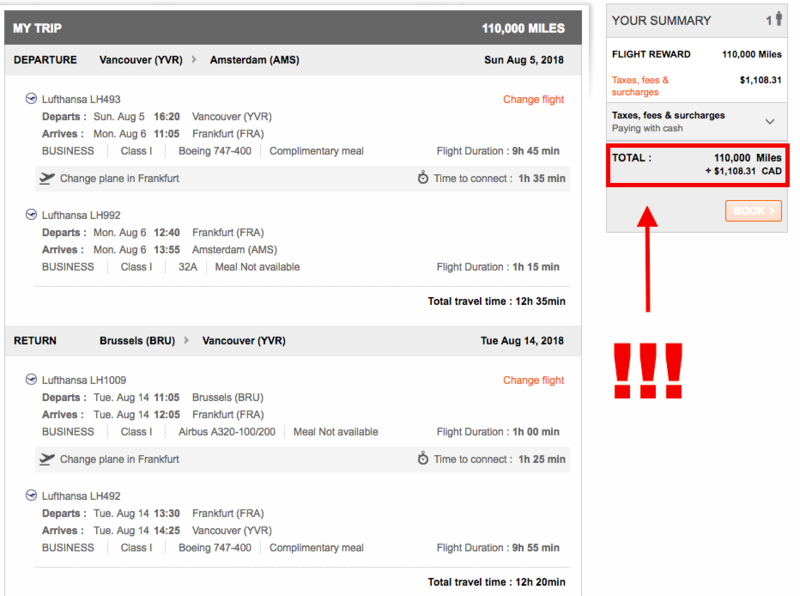 Award Success: Air Canada Aeroplan Award Ticket Canada To Europe In Business Class – Extremely High Surcharges! From our series Award Success we bring you a case of a recent award redemption a friend of mine did using Air Canada Aeroplan miles for an open jaw ticket between Vancouver and Amsterdam/Brussels. If you have an interesting or complicated award you’d like to share after booking it successfully you can always email us, send a message via Facebook or use Twitter and include photos too. 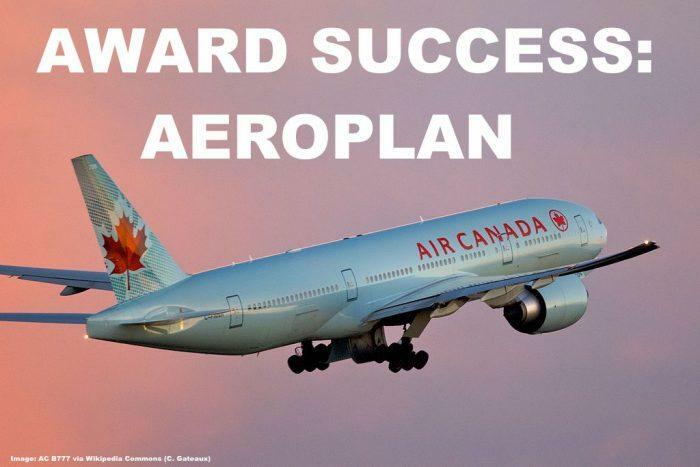 Air Canada Aeroplan was spun off for cash by Air Canada a long time ago to operate as an individual company, however from 2020 onward Aeroplan will lose the right to be Air Canada’s loyalty program (John wrote about it here) and substantial changes will come to the program. My friend still had a balance of 300k+ Aeroplan miles in her account and I urged for a while already to use these miles as soon as possible before the big devaluation begins at Aeroplan. As it happened she was looking to book two open jaw tickets in the summer from Vancouver to Europe as an open jaw ticket and with a bit of flexibility it was indeed possible to find two tickets in Lufthansa Business Class from YVR to Amsterdam and returning from Brussels. 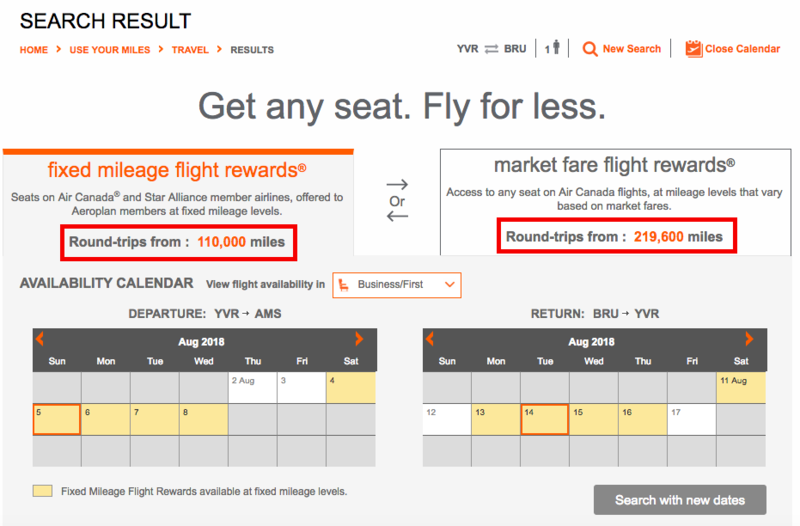 Air Canada offers both regular Star Alliance availability based on their award chart and also so called ‘market far awards’ which is enhanced availability for all Air Canada flights but for substantially more miles and rarely worth it. 1,108 Canadian Dollars for a round trip with only 4 segments is really an outrageous pricing as far as taxes and surcharges are concerned. It’s even more expensive than booking through Lufthansa Miles&More and considering how cheap Business Class flights are nowadays at certain dates it might be better to just not redeem for such tickets. In this case however tickets were $4,300 Canadian per ticket and the problem that all these Aeroplan miles needed to be burned so it was still an OK deal in my opinion. I don’t think what’s going to happen with Aeroplan will be beneficial for the members, quite the opposite. Floating award prices based on market value of a ticket will be outrageous and in this case you couldn’t even have booked one ticket with 300k miles, let alone two. If you have a high balance of Aeroplan miles I recommend burning those at the earliest convenience and at the same time stop accumulating them. Air Canada will roll out their own frequent flyer program again and until then it’s better to collect with another Star Alliance carrier.